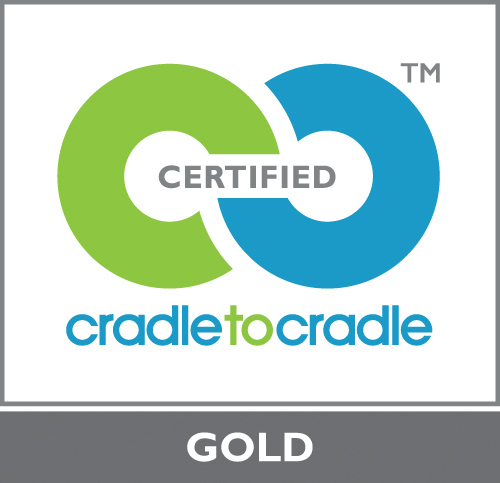 In 2016, MBDC served as assessor for the Cradle to Cradle CertifiedTM Products Program to help C&A, the leading European fashion retailer, Fashion for Good, and McDonough Innovation achieve their goal of getting two India-based garment manufacturers – Cotton Blossom and Pratibha Syntex – to develop and produce two Cradle to Cradle (C2C) CertifiedTM T-shirts. In total, the project took nine months. The project team visited both manufacturers to develop a baseline assessment of their factories using the C2C Certified criteria. Since both manufacturers already operated best-practice programmes for water treatment, energy efficiency, and renewable energy, the improvements needed in these areas were minimal. The T-shirts were certified GOLD – an achievement level not seen before for a fashion garment. Before MBDC’s assessment began, C&A conducted a pre-screen of their current suppliers and identified several that had existing social fairness programs. Out of this group, two suppliers also had existing closed loop water programs – Cotton Blossom and Pratibha Syntex. The team knew right away these two companies had the best chance of achieving C2C Gold so the brand decided to use them as a launching pad for their first C2C project. Step 2. Pick a product. C&A decided to focus their first C2C project on two styles of t-shirts, one from each supplier. At Pratibha, they chose a women’s form fitting t-shirt, and at Cotton Blossom, a basic t-shirt. Step 3. Site Visits and Inventory. An MBDC representative conducted site visits at both Cotton Blossom and Pratibha Syntex to collect as much data as possible. Together with the brand leaders and on-site engineers, they walked through each of the five C2C criteria to assess current conditions. Step 4. Assess & Optimize. The two manufacturers submitted the T-shirts’ Bill of Materials (BoM), including process chemicals, to MBDC for an initial chemical assessment. MBDC then worked with the two manufacturers to optimise the materials and chemicals used, i.e. to replace potentially hazardous or uncharacterized chemicals with chemicals that had been positively assessed. 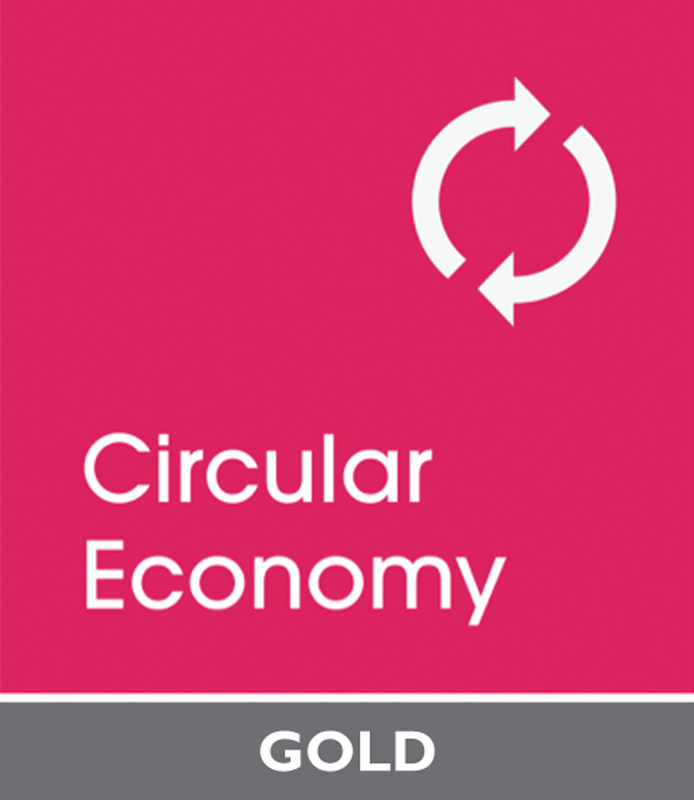 The project team developed a Material Reutilisation strategy, and coordinated the purchase of Renewable Energy certificates (RECs) and carbon offsets to fulfil C2C Certified criteria for Material Reutilisation and Renewable Energy respectively. For each company, the resulting BoM was 100% characterised and was stocked entirely of A, B, and C-assessed process and product related ingredients. 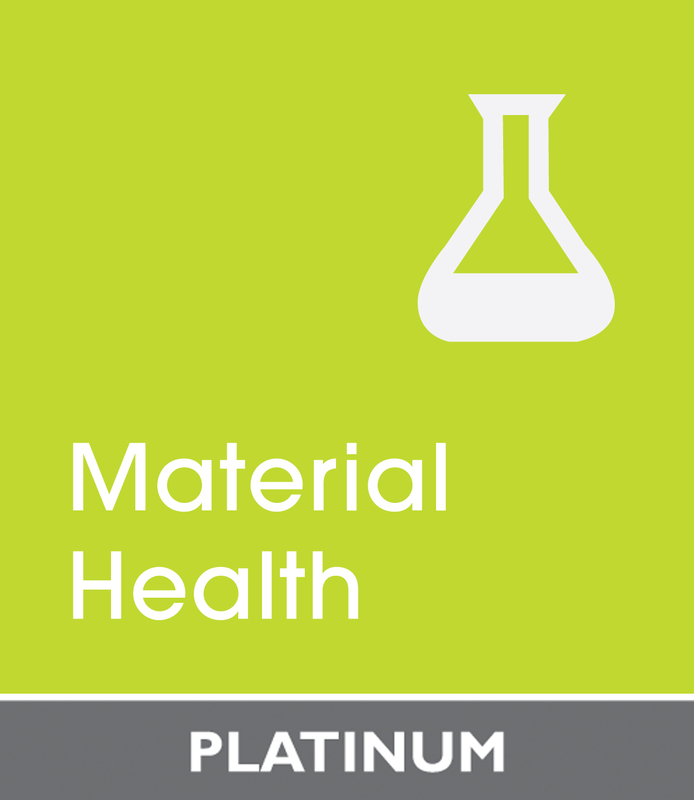 Combined with their effective closed-loop water systems, both Cotton Blossom and Pratibha Syntex achieved PLATINUM level in Material Health. After the initial assessment, MBDC followed up with suppliers from earlier stages of the supply chain (Tier-2 suppliers) for more information on all GREY-assessed materials, and in many instances received complete formulations from the initial inquiry. Where the Tier-2 suppliers would not or could not provide complete formulations for their products, MBDC suggested replacement suppliers – suppliers willing to share their formulations and that already had suitable materials assessed as A, B or C. In this way, all GREY-assessed materials were eliminated from both BoMs. Between the two suppliers, MBDC inventoried 53 dyes, none of which were originally assessed higher than Silver. With the goal of C2C GOLD certification in mind, the team recommended Dystar, which already had GOLD level Material Health Certificates (MHC) for 10 of their dyes. Both companies were able to replace X-assessed dyes with the 10 dyes from Dystar (mixed to create many different colors) which meet the requirements for C2C Certified PLATINUM in Material Health. Thread makes up more than .01% of garment so it needs to be assessed. When it comes to selecting a sewing thread, finding a C2C compliant option is currently a challenge. Manufacturers only have a few options: a traditional cotton which uses pesticides, a nylon, or some other synthetic (non-biological) fiber. For the C&A project, the team found two potential biological nutrient options: a limited source of organic cotton sewing thread and a 10-cell (cellulosic) thread with a GOLD MHC. The initial run of t-shirts uses the organic cotton thread. A Consortium has been formed by McDonough Innovation and includes the 3 most experienced global Cradle to Cradle assessors for textiles and garments to assess additional material and dye suppliers for less expensive and alternative options. By bringing diversity to the portfolio of materials available, the consortium hopes to bring the market price of C2C Certified materials down while also increasing designers’ ability and speed to design certified garments. The Consortium is currently conducting a study to determine the feasibility of having both denim and elasticized garments become C2C certified based on existing materials. Both t-shirts are recyclable and passed the ASTM D6400 test for industrial composting. C&A has set a goal to provide its customers clothing that is safe enough to return into the biological nutrient cycle. Passing the test for home composting would be a giant step forward in the brand’s journey towards a new way of fashioning. 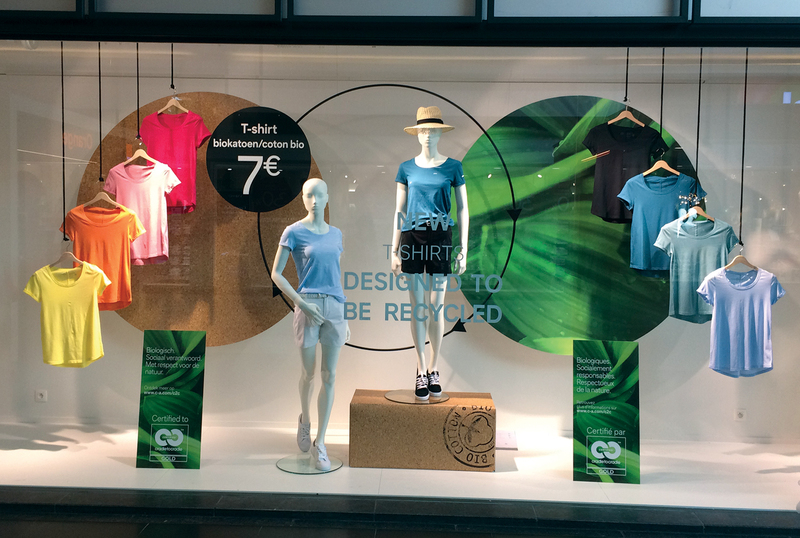 C&A has also implemented a campaign to educate customers on how to return garments by either taking them to textile collection points or sending them to the Fashion for Good Centre to be used in chemical recycling pilots. MBDC’s site visits discovered some wood burning processes (on-site combustion) so C&A purchased offsets for 50% of purchased electricity and CO2 emissions related to production of both t-shirts. 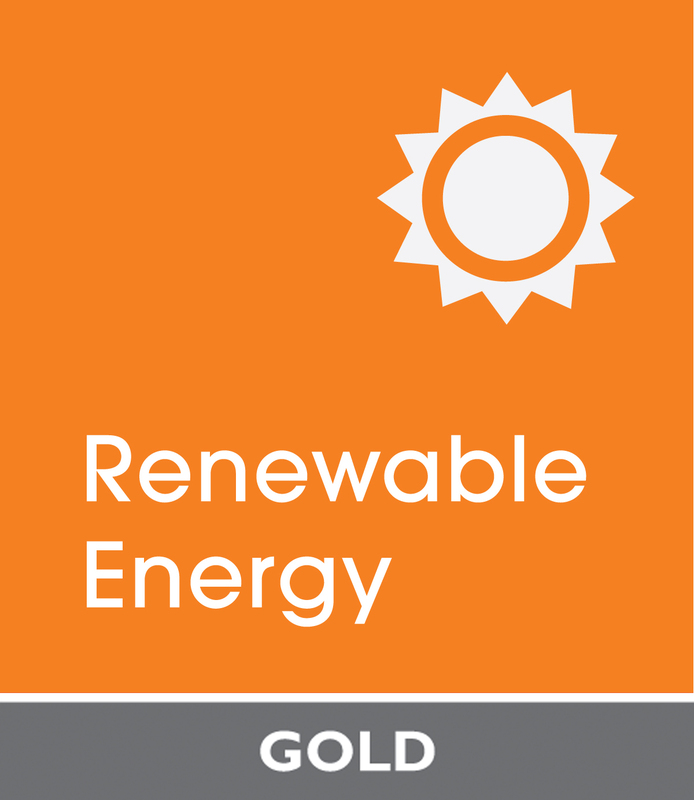 Become greater than 100% renewably powered through purchase of RECs, carbon offsets, or on-site generation. Product embodied energy must also be calculated and addressed (for C2C, 5% of total energy has to be offset – includes shipping, transportation, manufacturing of entire product). All effluent is filtered. 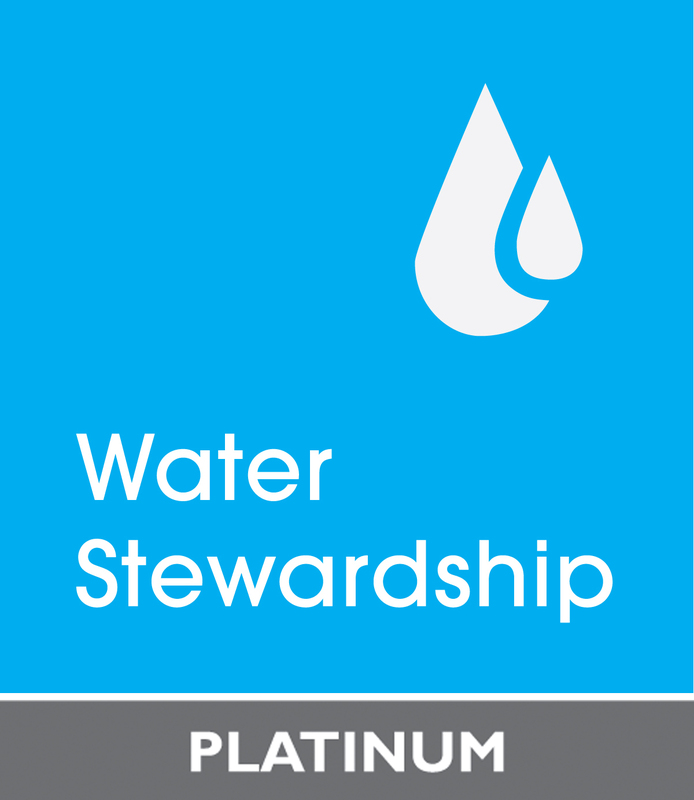 The only water imported from the local watershed is for drinking and utility purposes, as well as to compensate for process losses. Organic contaminants from the manufacturing process are metabolized in a pond progression activated with bacteria microbes to filter / cleanse contaminants (turns into CO2 – which adds to emissions needed to be offset under Renewable Energy). After mechanical filtration and biological treatment, the process effluent is further purified by reverse osmosis and then recirculated back into the process. Neither Pratibha Syntex nor Cotton Blossom contribute to the stress on its local watershed, as the company has an on-site effluent-treatment plant that effectively cleans the water via mechanical and biological processes. The process water is continuously cleaned and reutilised on-site. Eliminate the need to close the loop and freely recharge aquifers and surface water. 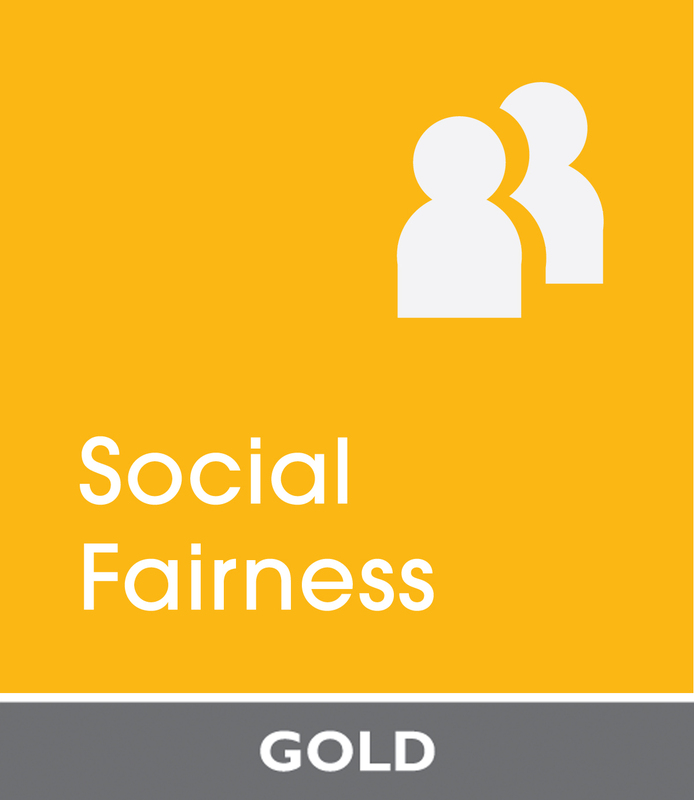 Both companies already have impressive and innovative social fairness initiatives and projects. See a few examples below. Pratibha has gone the extra step to obtain an SA8000, an auditable certification standard that encourages organizations to develop, maintain, and apply socially acceptable practices in the workplace. Once a year, Cotton Blossom organises a free medical camp for its employees, their family members, and people from the community. At the medical camp, people can consult doctors, undergo check-ups, and receive basic and prescription drugs at no cost. In cases of serious illnesses, patients can even be hospitalised at no cost to themselves. More than 90% of factory employees have a check-up whenever a medical camp is organised. In addition, employees’ family members and other local residents receive treatment as appropriate, and the overall health status of the local community is raised accordingly. Some manufacturers argue that they need to operate with regular overtime in order to attract enough workers, since workers want to maximise their income and would otherwise look elsewhere for work. Pratibha Syntex makes it clear to its workers and job applicants that it does not allow regular overtime work. Workers are informed that excessive overtime is against the law and could put both Pratibha Syntex and the workers at operational and legal risk. Since Pratibha Syntex is very clear and open about its policy, job applicants who accept an employment offer do so in full awareness that they cannot expect and will not be permitted to do regular overtime work. 100% of new employees are taught operational skills – such as sewing, pressing, and packing – by professionals from implementation agencies such as Technopak and NIFT-TEA (College of Knitwear Fashion). Cotton Blossom is working to meet requirements to achieve third party recognition for their fairness initiatives.